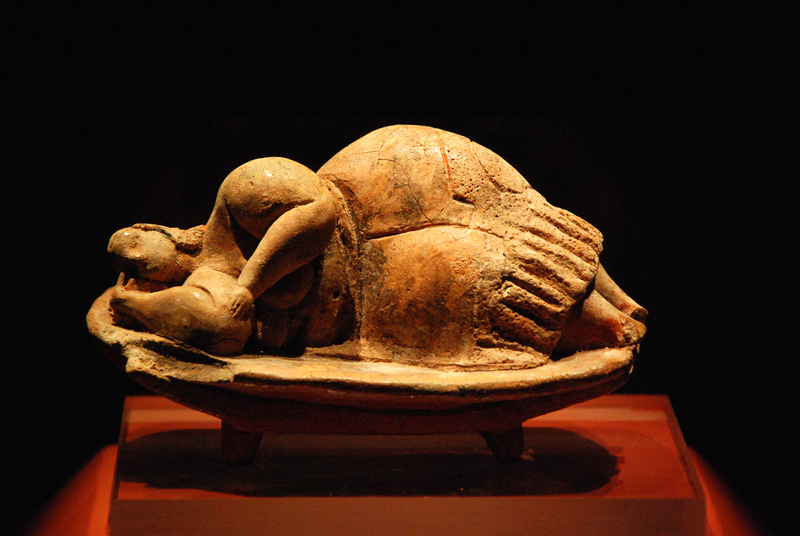 In the National Museum of archaeology in Malta there is the ‘sleeping lady’, an object found in the painted rooms of a sort of vaulted cave temple complex from the Saflieni phase. This was a time between 3000-2500 BC. The statue is believed to be that of the Goddess Astarte and is the finest artifact of its type from Malta. The temple complex, or Hypogeum (Greek for underground), called the Hal-Saflieni is one of many underground temple complexes that make Maltese archaeology one of the most fascinating. The concentration of important pre historical and historical sites of significance makes Malta a real treasure trove for mapping cultural movements throughout the Mediterranean. Its origins remain a mystery. No one knows who built the temples on Malta. However there are clues or hints at what might be Malta’s ancient history, Herotodus points a period in Levantine history where the king of Anatolia splits his kingdom as a result of a great famine. He sends one half West to find new land. The theory is that these early settlers colonised islands in the med. The greatest correlation, in culture is between the ancient sites of Catal Hoyuk and Gobekli Tepe in southern Turkey and the temple complexes on the Islands around Malta. However these somewhat similar cultures seem to be at a significant distance from each other, with the whole of Greece and its Islands standing closer to the proposed point of exodus. There does seem to be a sequence of Ancient sites dedicated to the Goddess leading from southern Turkey through Knossos and to Malta, however as a pattern it leaves many facts to be desired. If the original settlers were Etruscan, it seems around some time later in around 700 BC, descendants of these families but this time from the Levantine region (now Lebanon), Canaanite Semitic colonizers in the form of the Phoenicians, settled and built temples to their Goddess Astarte. It seems the respective worship of the female goddess although divided by time were still representative of the same thing; Astarte and the fertility cult, celebrating the Goddess, as one and the same. Algerian legend has it they along with the Phoenicians both settled in Malta, the Algerians fleeing their city of Aram which would add an Aramean dimension to Maltese early history. A theory of shepherds from Bethlehem settling also exists. It seems that if all influences are correct that Malta was a safe haven for cultures and families whose descent can be traced from around North Africa, Turkey and the Levant. It seems that history tells us that the major migrations of people in ancient history were very much a case of east to west migration until the waning of the Islamic golden age. 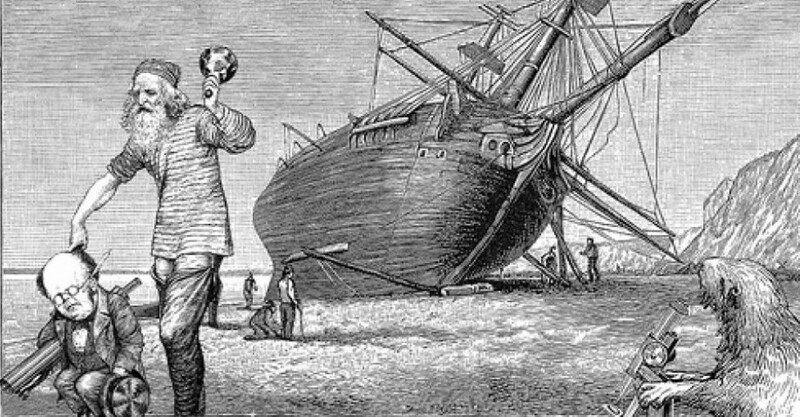 In 218 BC to 395 CE the Romans controlled the Island where reputedly St. Paul was shipwrecked. The Island was divided into the Eastern Roman empire at the empires collapse. It is apparent that the Punic/Phoenician culture survived the Romans. Although an added influence to the blend is attributed to some Greek families that settled there at around this time. The survival of the Punic influence is attested in the act of the Apostles, where the Maltese are called ‘barbarians’ their culture being neither Latin nor Greek but Punic. ← A review of Uttermost Part of the Earth by E. Lucas Bridges: the southernmost indigenous peoples of the planet and their fate at Tiera del Fuego.